Austria Wien forward Olarenwaju Kayode joins the league of Nigerians to show off the gesture inspired artiste Falz’s single – Weh Done Sir. Kayode who has been called up to replace recovering Wolfsburg’s Victor Osimhen for the Super Eagles’ friendly games this month, displayed the gesture that involves salutation with the palm. Ahead of the Violets’ league fixture against Wolfsberg in the Ernst Happel Stadion on Saturday, the forward shared his own version of the trending pose in Nigeria. 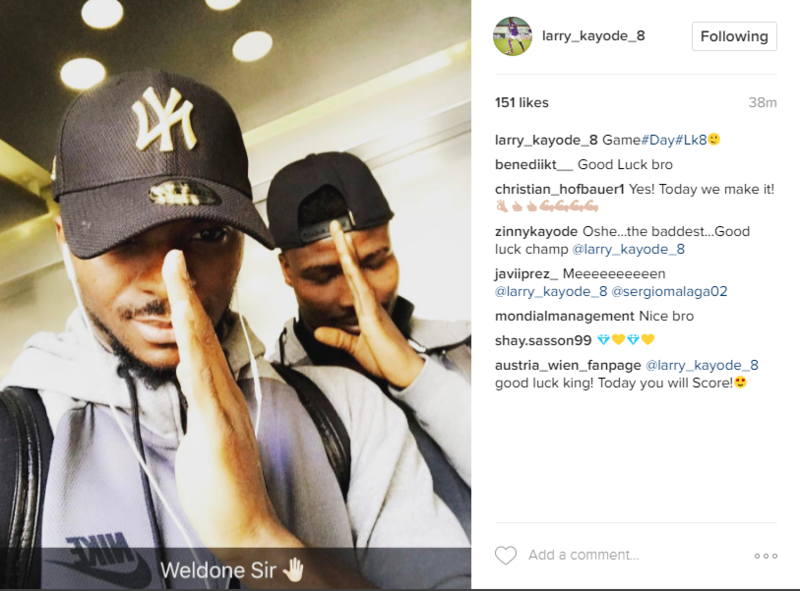 0 Response to "PHOTO: Super Eagles, Olarenwaju Kayode Tries Out Falz ‘Wehdone Sir’ Gesture"